The Most Popular France Loto Numbers: Can You Win More by Studying Hot and Cold Digits? We all want to win the lottery, trust us! 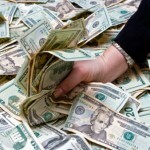 Writing about all of the jackpot winners and successes makes us wonder what it takes to become a millionaire. Some people believe in hot and cold numbers – the fact that certain digits tend to appear among the winning ones much more often than others. There are hot and cold numbers for every single lottery out there. France Loto is not an exception. So, what are the most popular France Loto numbers? If you plan to use this strategy to improve your odds of winning, we may have some beneficial information for you. The following statistics examined the France Loto draws in the period from 2009 to December 2017. Hopefully, the number of drawings is big enough to produce some adequate information about the hot and cold numbers. Of all France Loto numbers, 41 is the hottest one. It has appeared among the winning digits a total of 172 times. It was drawn for the last time on December 4, 2017, which solidifies the number’s excellent reputation. Several other digits rank among the popular France Loto numbers, as well. These are 22 (drawn a total of 163 times), 1 (also drawn 163 times), 13 (161 drawings), 16 (161 drawings), 33 (155 times) and 29 (also drawn 155 times). The cold France Loto numbers are on the other end of the spectrum. The most frigid number of them all is 19. It has been drawn 131 times, and it hasn’t appeared among the winning digits for 20 draws! The number 42 comes next. It has also been drawn 131 times, but it hasn’t been drawn for 18 draws. Other cold numbers include 8 (drawn 137 times) and 25 (also drawn 137 times). Apart from paying attention to the hot and cold France Loto numbers, you may also want to examine some additional statistics that will give you a better idea about the right strategy to choose for this game. The numbers that are most commonly drawn in a France Loto pair are 2 and 5. This 2-digit combination has appeared among the winning numbers a total of 28 times. The combination between 1 and 3 is also popular because it has been drawn 25 times. Other numerical combinations you may want to opt for include 6 and 16, 22 and 41, 1 and 49 and 10 and 43. The most common set of 3 numbers drawn together is 1, 15, 24. This triplet has been a winning one 6 times. Other popular triplets of France Loto numbers include 1, 3 and 49, 10, 15 and 28 and 10, 20 and 43. Another statistics that players who have a number-based strategy take a look at is the one focusing on the most overdue numbers. These are the numbers that haven’t been drawn for a very, very, very long period. The most overdue number that hasn’t been drawn in the past 50 draws is 31. 4 is another long overdue number. It last appeared among the winning digits 35 drawings ago. The number 28 was drawn for the last time 30 drawings ago and 11 – also 30 drawings ago. 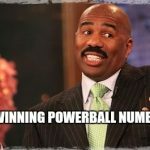 People who study number theories and statisticians suggest that the reliance on hot and cold numbers isn’t necessarily the best approach as far as winning the lottery goes. They often remind players that the odds are the same for every number. There isn’t one digit more likely to be drawn than the others. While the theory is logical, however, reality seems to be painting a somewhat different picture. Choose a good spread of numbers from all of the available possibilities and also choose both odd and even digits. This is the best strategy when it comes to increasing your odds of winning a prize. Another theory that some rely on is choosing a “repeat hit” number. Repeat hit numbers are the ones that appear from a previous drawing. Statistics for France Loto suggest that a number from a previous drawing is likely to appear in the next one 43 percent of the time. Thus, you may want to try your luck with one of the digits for the previous drawing. Lottery experts also say that it’s difficult to determine when a cold number will start changing its reputation (the same applies to overdue numbers). Sticking to one number every time you play because you believe that it’s time for the respective digit to show up among the winning ones is a long shot strategy. A tip to follow is to go for the most overdue number. The more time it has been out, the more likely it becomes to be drawn. Finally, remember to have fun. The lottery is all about an enjoyable experience, an adrenaline rush. 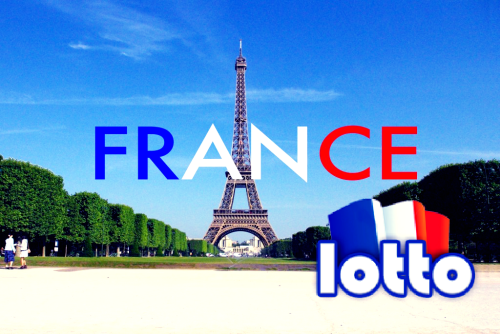 Don’t get carried away with France Loto number strategies. Trust your gut, enjoy the process and who knows, you may be the next big winner. Good luck and don’t forget to let us know which strategy has been the winning one for you. 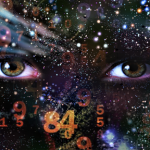 Lottery and Numerology: Are Higher Powers at Play Here? Someone Stole Your Lottery Winnings? Here Is How to Fight Back!